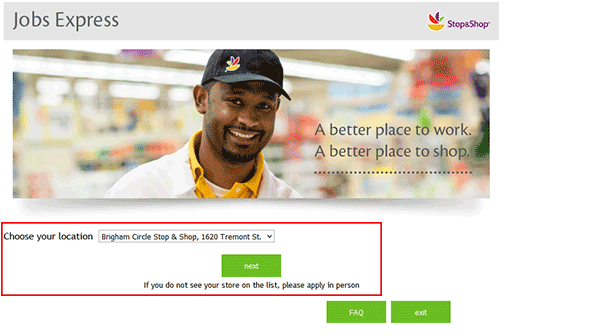 Download the Stop and Shop job application in .PDF format (click the download button at the top of the page). The form can also be filled out and submitted online by visiting the careers site (see instructions posted below for more details). 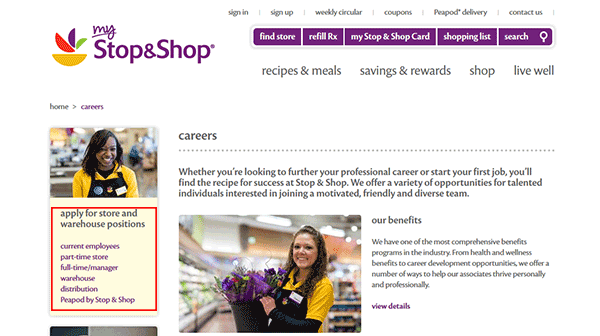 About the Company: Stop and Shop is a chain of grocery stores based in the Northeastern United States. The company has over 400 locations throughout the New England, New York, and New Jersey regions. Step 1 – Click this link to be taken to the careers page. Step 2 – Select which type of job you want to search for by pressing one of the links in the menu on the left side of the page (outlined below). Step 3 – Press the “Next” button to load the main search page. 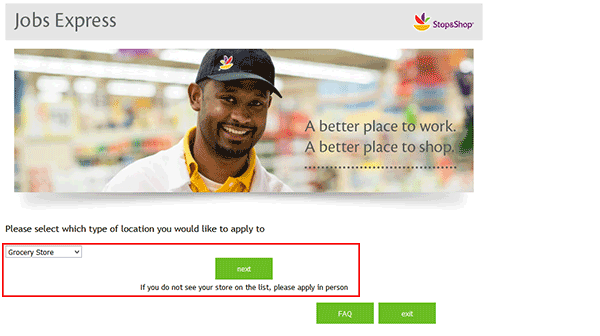 Step 4 – Select whether you want to search for distribution or store positions. Step 5 – Select your state/city from the drop-down list. 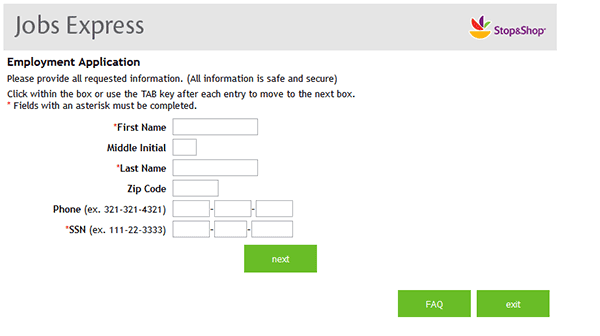 Step 6 – Select the location you want to apply to, and then press the “Next” button. Note: If you do not see the location you want to apply to, you will need to visit the store in-person. 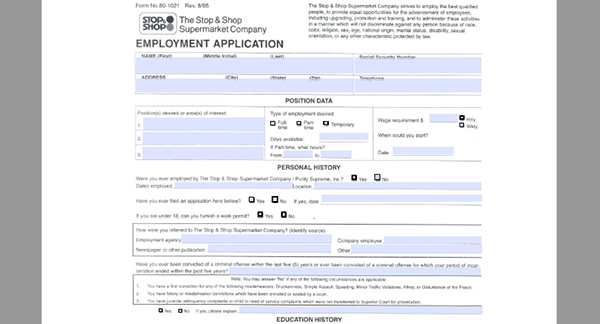 Step 8 – Complete the online application process by submitting any/all required information into each section of the form. Step 1 – Download the .PDF file using the link/button at the top of the page. Employment history (name of employer, dates employed, wages earned, position, manager details, etc.). 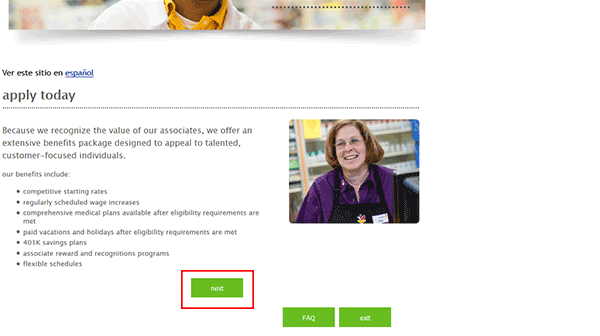 Step 4 – Sign/date the form in the appropriate input fields.